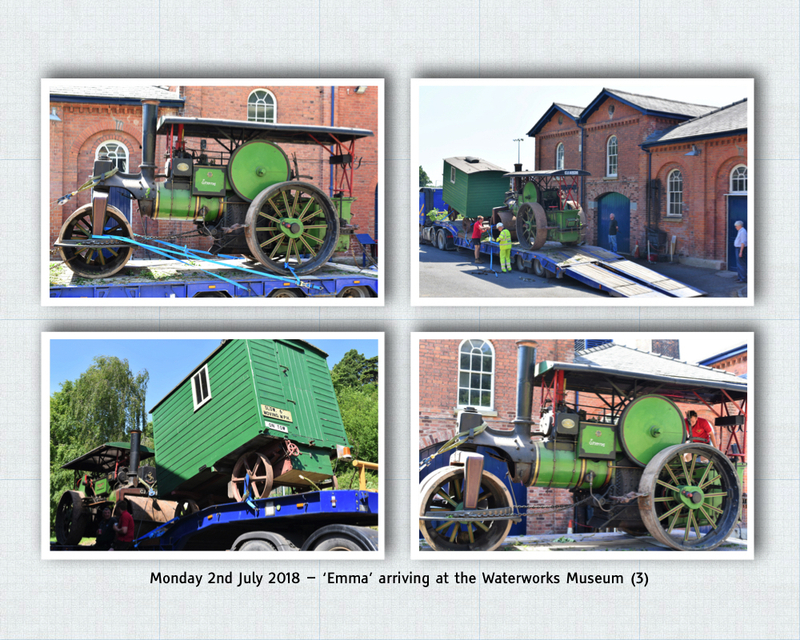 Gala Day is always a special day in the Waterworks Museum calendar but this year, on Sunday 8th July, it will be extra special because it will be visitors first chance to see Emma, Herefordshire Council’s vintage steam road roller, in her new home. Built in 1920 by the firm Aveling & Porter, Emma is one of only two remaining from a fleet of over 30 road rollers once owned by the Council (the other is preserved in Cheshire). 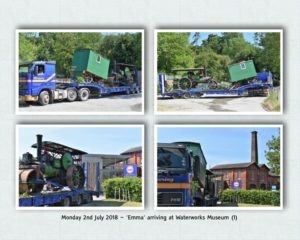 We understand Emma worked regularly until around 1960, and then occasionally when workload was heavy until final retirement in 1975. Emma, who is named after the daughter of the last driver of the roller, was initially restored in Herefordshire Technical College. 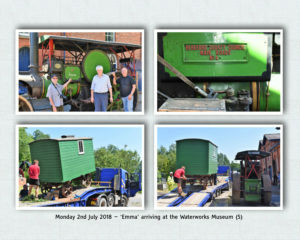 More recently she been maintained by the local heritage group at Much Marcle, which further restored Emma with new boiler tubes and other new parts, where she was regularly shown at Much Marcle Steam Rally. 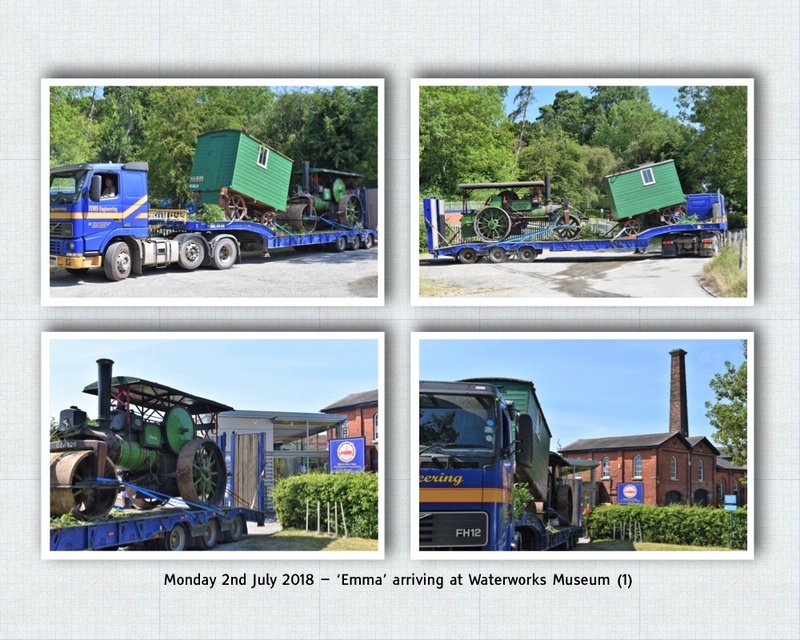 The Trustees of the Waterworks Museum are delighted to be able to work with Herefordshire Museum Service to host Emma where she can be viewed more regularly by visiting members of the public. 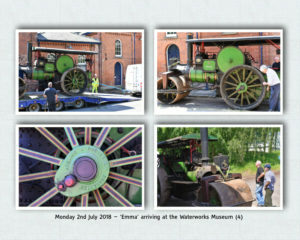 Waterworks Museum Chairman, Richard Curtis, said: “Emma is not just a great example of a steam road roller, she’s an important link to Herefordshire’s heritage, which we are pleased to be able to help preserve. There is no doubt that Emma will be of great interest to visitors and other users of the Museum’s services”. 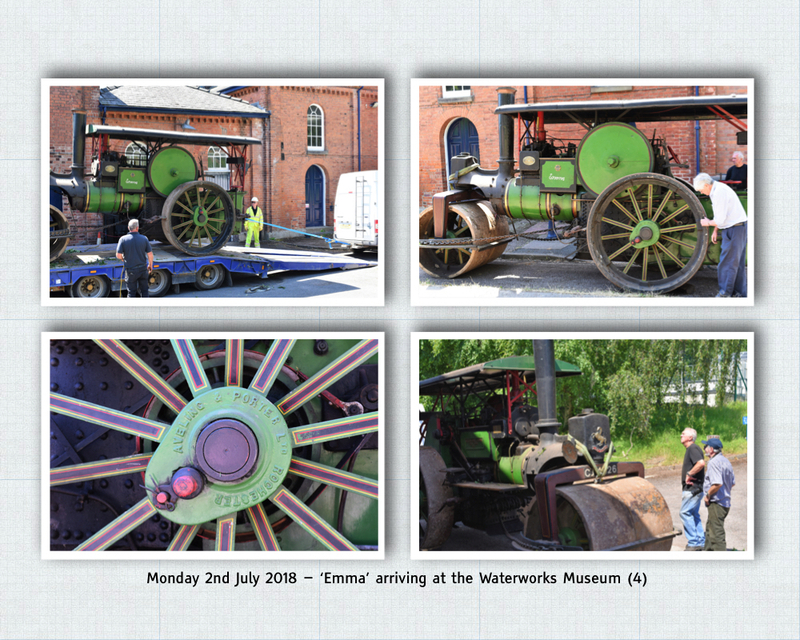 Judy Stevenson of Herefordshire Museum Service stated, ‘We are thrilled that the Waterworks Museum is able to house and display this fantastic part of our local heritage from the lost age of steam. 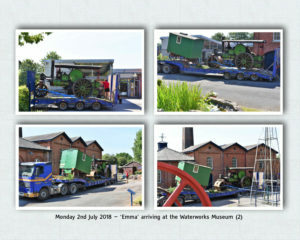 It has been a great opportunity for Herefordshire Council to work together with the Waterworks Museum to bring Emma to public display." 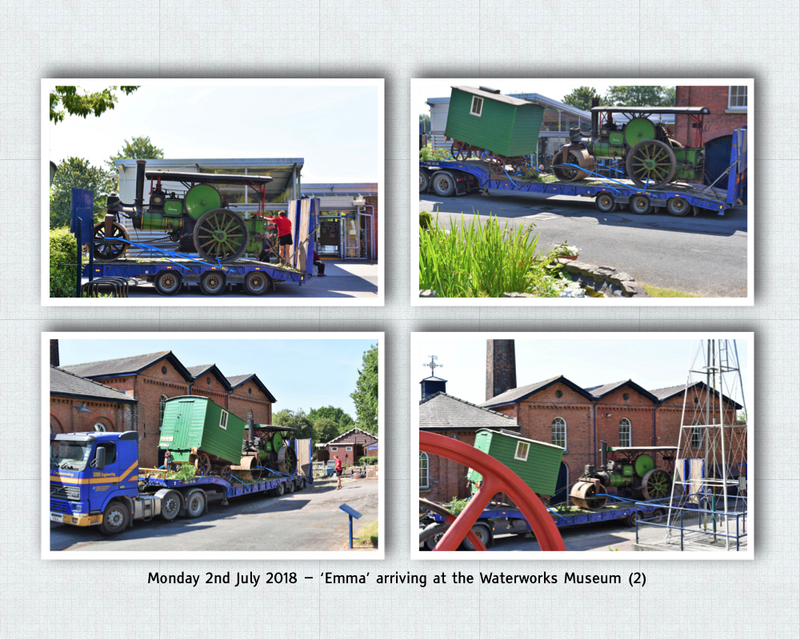 Members of the public will be able to see Emma at the Waterworks Museum, suitable weather permitting, on most Tuesday’s and on each of the Museum’s 20 family open-days in-steam. 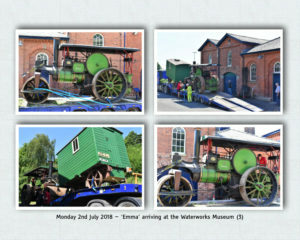 She will be operated in-steam on some, but not all, family open-days (details to be published on Museum website in due course).